Carry your snus in style with the DUS Aluminum Slim Snus Can! Did we say it was slim? No full sized can bulge! DUS Snus Cans have character. If you're lucky, you'll get one with small die marks or unique marking and imperfections lending to the industrial character of the cans The seals are perfect so your snus well be preserved despite the industrial design. Most importantly, check out the incredibly LOW price! Buy 2 and carry them at the same time! Moe negotiated the purchase over drinks which is when he is at his best and the seller is at their worst! 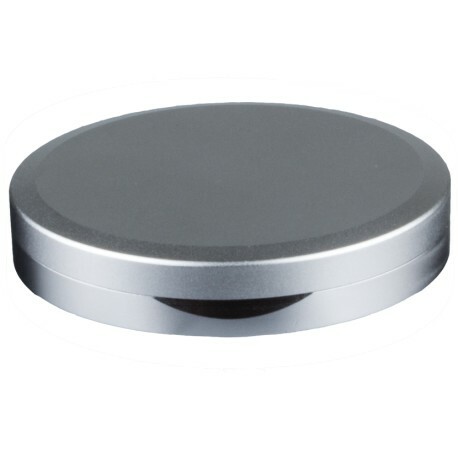 The DUS Aluminum Silver Slim Size snus can is a bargain product that looks great and works well. It is not bullet proof so do not shoot it. I bought this can because I have always wanted an ice tool but was too cheap to buy it. So without having another metal snus tin to compare this to, here are my impressions: 1. The can is slim but still fits a large amount of snus. 2. The finish is very smooth and slightly slippery, it has slipped out of my pocket a few times accidently. 3. The metal seems thin and it makes a definite metal "tinny" sound when opening and closing. 4. The logo seems to be printed on the wrong side. Most of the times, the logo is on the lid, but this one is on the bottom of the tin. What I wish this had: 1. Knurling or other grip surface on the metal to provide more grip on your hands and in your pocket. 2. Thicker metal would produce a less annoying sound when opened. If you are interested in a product like this, it might be best to spend the extra cash to buy an icetool.